We never know when the tough and unfavorable situation will strike and make us helpless both financially and physically. If you have met with an accident and still sitting far away from any kind of cash settlement, then several advertisements promising financial relief may drag your attention quickly. However, you should know that settlement loans could provide you relief and can help you even in paying your soaring medical bills. The service of pre-settlement loan can be a proven and effective service for a needy person. Though, if you manage to settle your accident case too early without any hassle you may not opt for such loans, but in most of the cases people witnessed that it takes a long period of time to settle a legal case. Here are some facts you should know before applying for a lawsuit funding loan. Why Should You Opt for Lawsuit Settlement Loan? The lawsuit settlement loan is something that helps people when they need the money most. People who meet with an accident caused due to other’s negligence, usually, apply for case settlement in courts so that they can avail compensation for the physical and property damage. However, the process of incurring compensation is tedious, time-consuming and expensive too. Thus, the applicant has to bear all the cost including medical expenses until he or she settles the case. Here people feel the need of financial help and opt for a loan called the lawsuit funding loan. Whenever you search for an agency working for lawsuit funding loan, you will find many. However, you should know that there are no federally regulated fees demanded by such agencies and many of them can ask you to pay from 30% to 102% interest and fees. 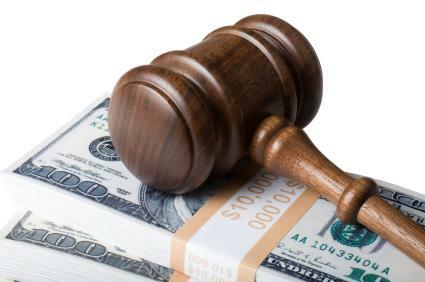 However, according to the attorneys, depending on the term, a lawsuit loan of $1,000 should turn into $1,300 in the low scale of interest, which can soar till $2,200 for high scale. Thus, prefer the best lawsuit funding companies that appear suitable for your needs. Here are some tips, you should consider, before applying for a pre-settlement loan. Before applying for the lawsuit funding loan, you will have to assess, how much time your case will take to be settled because your interest rates will be determined on that fact. For example, if you have incurred $15,000 from a lender, you simply cannot wait one or two years for the final settlement of your case, because the time span will make the process too expensive for you. If you already have incurred loans from several financial institutions and fearing whether you will be able to qualify for another loan or not, you should learn that the terms and conditions of pre-settlement loan do not give prior to your credit score. Top lawsuit funding companies will rather choose to review your case so that they can provide you the money as soon as possible. In addition, if you lose your case, unfortunately, the pre-settlement loan providing agency will allow you to keep the advance you availed from them. Moreover, no other credit agency that provided a fund to you before will be aware of your pre-settlement loan. Therefore, lawsuit funding loans are highly recommended for those who are suffering from high medical or other expenses due to some incidents that went against their favor. Malcolm Jones is an attorney, specialized in lawsuit fund related cases. He runs his own consultancy to help by providing legal advice. Apart from this, he writes about lawsuit funding loans for several websites that can help people in finding the best lawsuit funding companies.